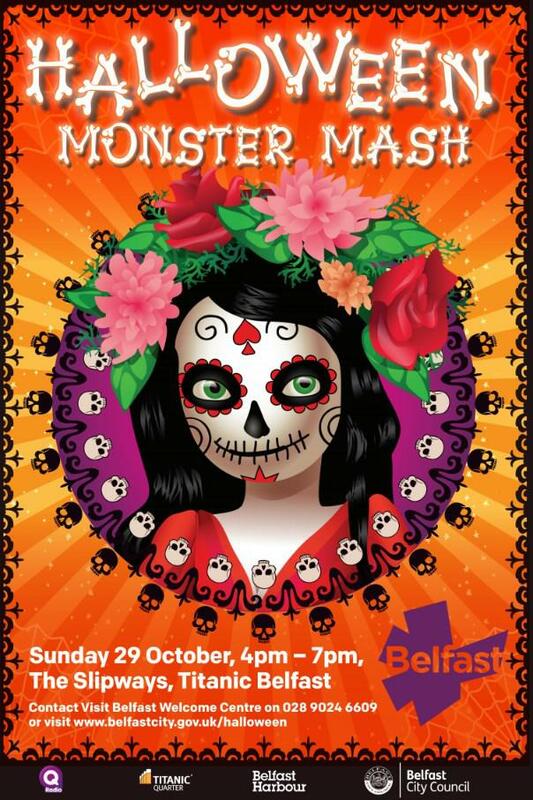 Q Radio have joined forces with Belfast City Council to host the city’s annual Halloween Monster Mash on the slipways of Titanic Belfast. Join us on Sunday 29th October for an evening of carnival capers, spooktacular street theatre, music and fireworks. The event will draw to a close with the largest fireworks display in the city. More details to follow shortly. Follow the Q Radio facebook page for further updates.